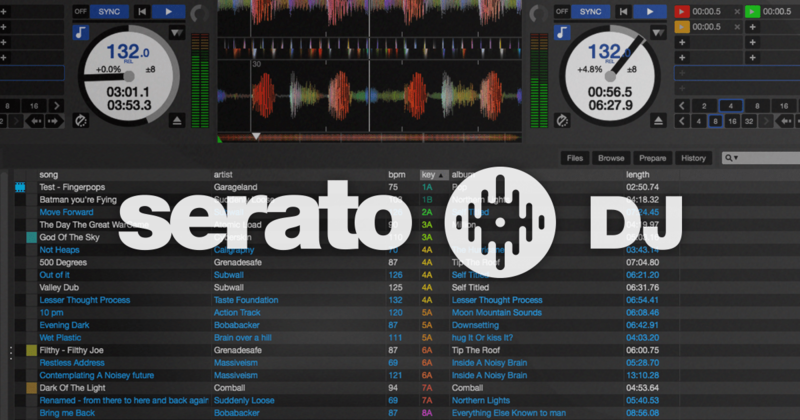 Serato announces Serato DJ 1.8, the next major software update for Serato DJs. This update adds key detection and display, an update to Pitch ‘n Time DJ allowing key shifting and key sync, user hardware remapping as well as a number of important performance and stability updates. Serato DJ 1.8 will be a free update for all DJs with supported Serato DJ hardware or licenses. All previous Serato DJ trials will be reset on release, giving Serato DJ Intro users another 14 day trial period to test out these new features. “Serato DJ continues to move forward and 1.8 adds another important feature for professionals with in-built key detection and display, giving DJs even more tools to craft perfect mixes. Hardware remapping is a common request from the community. We’re happy to be making this option available for DJs wanting to customize their workflow – especially with the number of new features in the software. **Serato DJ 1.8 will be available end of October. 1. Analyse the root key of your tracks in the Serato DJ Offline Player, a free download. 1. Organize your Serato DJ library by key. 1. Coloured key display in the Serato DJ library for quick and easy recognition and key matching. 1. Choose one format to display key for all your tracks, whether analysed in Serato DJ or elsewhere. Display Camelot, Open Key, Musical Key notation or Original Tag (what’s already in your files). 1. Key is written to your track. View this info in any other music software that supports ID3 tags. 1. Serato DJ key analysis is developed by Serato. Serato Key analysis is available for all Serato DJ users in Serato DJ 1.8. 1. Key shift, match and key sync. 1. Find the key that fits. Visual representation of compatible track keys on deck for harmonic mixing. 1. Manually match key for the track you are mixing, key sync automatically or choose between various compatible keys. 1. Studio quality algorithm, used by post-production professionals, audio engineers and producers worldwide. 1. Speed up or slow down your track to extreme tempo values while maintaining its key perfectly, with the highest quality and definition of any available software. There are some limitations for specific hardware. Information on remapping specific controllers will be included in individual controller quickstart guides.